We now sell outdoor structures in FIVE locations! 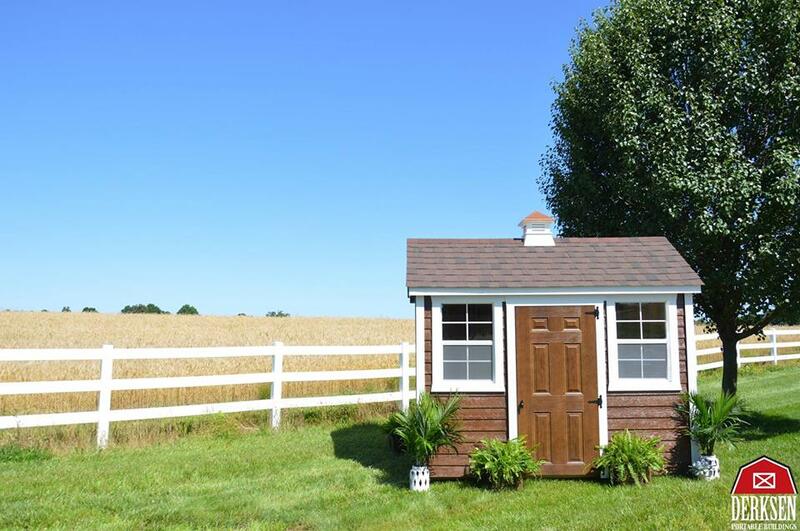 We're proud to carry storage buildings, carports, garages, barns, playhouses, gazebos, cabanas and storm shelters in Fulton, Amory, Tupelo, New Albany, & Batesville! Brochures and pricing are available at every location met with a smile from our experienced sales staff. We are a small business servicing great communities since 1991. Come see us today. We offer financing or no credit check rent to own. 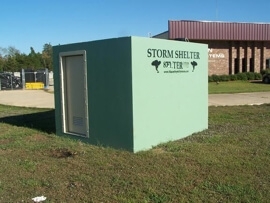 We now carry storm shelters! Keep you and your loved ones safe in bad weather with NSA certified EF5-rated above ground tornado shelters. These shelters are reinforced concrete that exceed FEMA standards. 12 Months Same as Cash financing available! Don't wait, call today for more information! 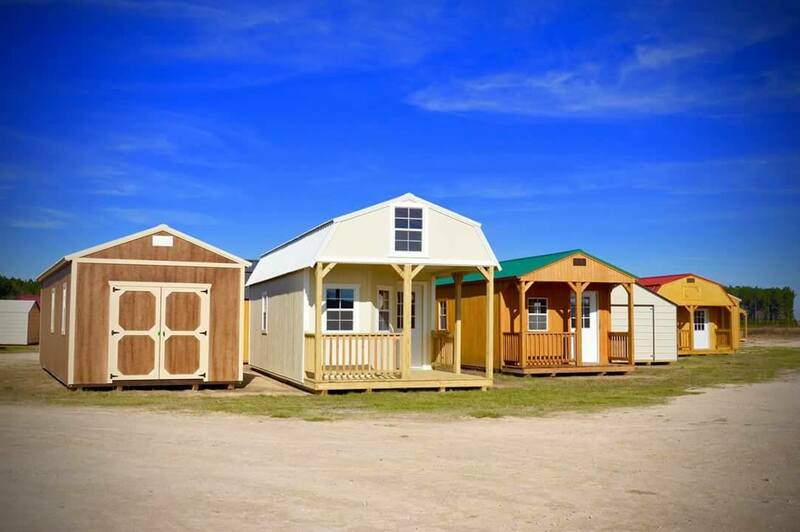 ﻿Derksen Portable Buildings are designed with you in mind. Built by hand with time-tested Mennonite craftsmanship, every building is assured to be premium quality. 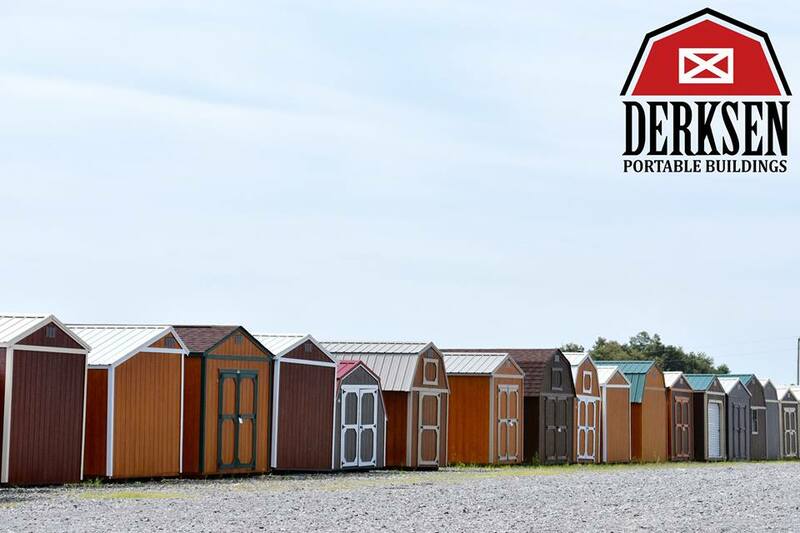 Derksen offers the nation's best value in portable buildings, with great prices and the option to buy or rent to own with no credit check​. It only takes 1 to 2 weeks for a Derksen building to be delivered from a lot to you! Or build and customize your own building to suit your needs and have your building in 3 to 5 weeks!